It isn’t that people don’t want to know who bred their favourite fruit and vegetable varieties, it’s just that the story of those breeders is so seldom put before us. 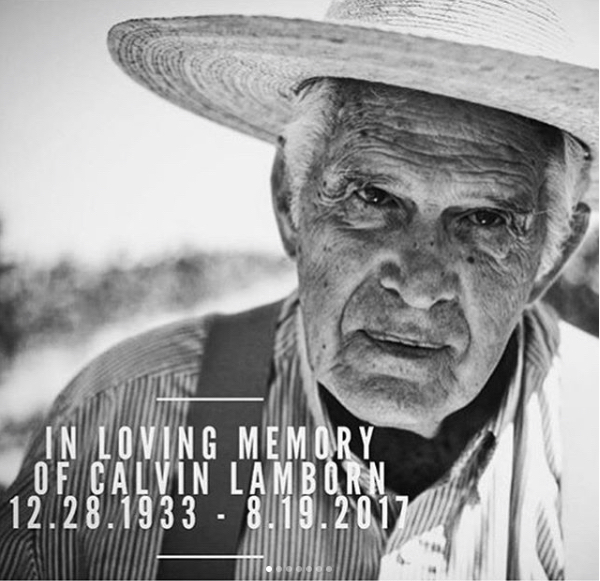 A tribute post from @culinarybreedingnetwork alerted me to the death of Calvin Lamborn. And who is he? Only the man who gave the world Sugar Snap peas, and many other wonderful peas. Calvin is the reason why we have snap peas as a part of our everyday cuisine in the U.S and in much of the world. Most people think that snap peas have always been part of our food culture, but before Calvin’s work, snap peas were only a very minor curiosity in the garden. When he went to work at Gallatin Valley Seed Company in Twin Falls Idaho as a young plant breeder, he was given the problem of “straightening out” edible podded snow peas. He wondered what would happen if he crossed a spontaneously occurring trait for thick pod walls in the old shelling pea ‘Dark Skin Perfection’ with ‘Mammoth Melting Sugar’ snow pea. The result was completely unexpected; it did straighten the pods, but it was a completely different crop. The first variety from those breeding efforts was ‘Sugar Snap’ pea and he is responsible for releasing most of the snap pea varieties that we enjoy today. Equally critical, snap peas would remain a minor curiosity today if not for his continuous and tireless promotion of the crop. What I have learned from Calvin is that if you are trying to introduce a new crop, it is not enough to just breed improved versions. One must get it in front of the world to let others understand the novelty and benefits that the crop can bring. Edible Manhattan has featured Calvin Lamborn, as has Civil Eats — and if you’re really keen, there’s a three-part webinar on YouTube in which Jim Myers talks about “Putting the snap back in snap peas“. I hope Culinary Breeding Network doesn’t mind me using their image. Syndicated to Agricultural Biodiversity Weblog. BSPB liked this note on twitter.com. Matthew Dillon liked this note on twitter.com. Victoria BC Gardens liked this note on twitter.com. Dan Charles reposted this note on twitter.com. Anthony O’Toole reposted this note on twitter.com. Emma Cooper reposted this note on twitter.com. james farris reposted this note on twitter.com. Andrew Whitman liked this note on twitter.com. A plant breeder whose products millions love has died.